I had a recent experience that made me feel guilty for discussing my experience with depression. Iâve listened to 2 shows and thank you! I use humor to cope and it comes out as awkward as I am! Iâm just glad that someone gets it. Thank you for being you and all of your guest! The intersection of comedy and mental health is incredibly fascinating. 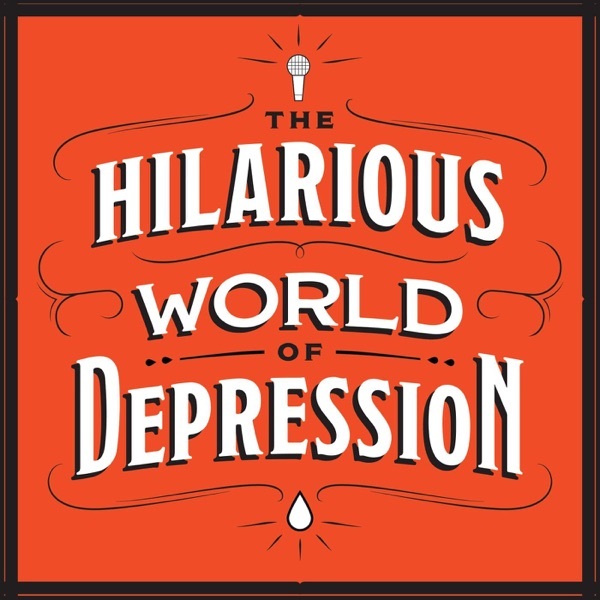 Even better, this podcast has helped me through my depression many times by showing me Iâm not alone, and giving me a perspective that it is possible to see the humor in the dark. Out of touch. Interviews with MIT/Harvard doctors & elitist Hollywood. Not knocking their depression, but people struggling in the head AND on paper you can empathize with. When youâre figuring out how to pay bills with a head holding you back & hearing about how these guys feel down after they sign a movie deal is 48 min of tone deaf. Update us on when we might hear you again!!! Please! I LOVE this podcast! It hits home every time. But what happened? No episodes since Christmas Eve 2018??? I NEED THIS! Pleeeeeeessssssseeeee?! Audio treatment for your heart and mind. Knowing youâre not alone with those same feelings and experiences. I canât rave about it enough. I recommend listening from the first episode on. Definitely worth your time and energy. Thanks to you (our host)John Moe. A great choice for those of us with depression or anxiety or OCD or all of the above. Please listen and youâre welcome. This podcast has helped me in so many ways throughout my fight with depression. And it has inspired me to be more open about my battle. Keep up the good work. This! Is! Such! Good! Content! The Hilarious World of Depression has helped me on some of my hardest days. Please continue to suppport this spectacular podcast. This show is the best therapy I have ever had. Keep up great work! As good, if not better than therapy! I find so much of this show relatable and eye-opening. Itâs helps me to better understand myself and Iâm continuing to grow and evolve with the stories and insight of your amazing guests. Thank you! Who knew that Neko Case was so cool? Everyone, I guess. Now, me too. Thank you, John Moe. You the bomb. Radio is a lot of work; thanks for the time and effort. This show has helped me through some difficult times with depression and anxiety. I still listen ...for maintenance. Thanks for what you do. Please continue to use storytelling to help us be well. This is a great source of encouragement. Hearing yourself in otherâs stories is quite therapeutic and beneficial. This podcast is great it helps me know Iâm not alone and that there are other people feel the same way I do, thank you so much!!!!!! I just wrote this on LinkedIn, so I thought I'd share it here, too:I'd like to highly recommend an excellent podcast that I think does a great job of destigmatizing and demystifying mental illness. You'll be surprised by how many accomplished comedians and performers live with depression, and you'll learn a lot by listening to their stories. It really his hilarious. Kind, thoughtful, smart, funny. I happen to live in Minnesota and am strongly considering reaching out. Thank you for simply being there. Making people feel understood. Thatâs what we need in these circumstances. Undiagnosed, but I have been through counseling/therapy three times if I remember correctly. Battling it as I approach graduation in two weeks. Some days I feel like I can keep chipping away. Others I donât know if I can even make it. Itâs sort of that feeling like youâre finishing a staircase, placing your foot down on that last step and it isnât there. Your foot falls through and for that instant nothing seems sure. You lose all stability. Except the staircase is life. And that split second can be hours, days, weeks, months, or years. As a long-time MSW and consumer of therapeutic services, I welcome and recommend your podcast! Know youâre âdoinggodâs workâ. I recommend this podcast to therapists, sufferers, and anyone whoâs life is touched by depression, which is a long-winded way of saying everyone. It might break you a little when you suddenly hear someone talking about your exact thing and you realize you really arenât alone and someone out there understands exactly a thing you experience. But itâs an uplifting kind of broken? ...if that makes sense. And even if for some reason it ends up being completely unrelatable to you personally, not only might it offer some insight into the struggles of other people in your life, itâs also a collection of juicy stories. Give it a listen. Itâs more than worth the time. I like John Moe as host, and Iâve enjoyed many of his conversations. As a person with depression (as the problem part of an atypical bipolar disorder), the show is comforting and inspiring. I just listened to a moving interview with Canadian comic Scott Thompson. The very awkward silence as Scott struggles to answer a question about the suicide of his brother (diagnosed with schizophrenia) is such a real moment. I would guess that such an uncomfortable moment would be edited out in most shows. I am glad your show exists, John. Fascinating discussions with interesting, creative artists. This show...this show is so incredible. There is always something I can relate to or learn from. It makes me feel so less alone in my depression and helps me laugh and see some light in the darkness of depression. Itâs wonderful and reassuring! Take a listen! I have been living with anxiety and depression for decades. I might even say Iâve been living with them successfully. But the sense of isolation can be overwhelming. This podcast reassures me that I am definitely not alone. I love this podcast. So much fun- and so insightful. If you have depression, it feels like coming home! It is so nice to hear from people whose work I enjoy talking about their mental health issues, both for my own struggles with mental health and of those around me. Depressed people arenât very social. We donât often get together and chit chat, but this podcast feels like I had coffee with a friend. I see a therapist, but she never seems like she got it. The podcast doesnât have a âjust see the positive side of thingsâ vibe because thatâs not depression. It lets us all know that weâll be okay- no matter who you are or where you are or what sinkhole youâre sitting in. Great job, guys! This podcast shows that we are not alone in struggling with depression and anxiety. Many people including famous people struggle with depression. This podcast shows how people have struggled with depression and how they are fighting back against it. Learn in depth about peopleâs lives of growing up with depression and how they overcome it. Thanks for this podcast. I found it when I was on the verge of planning my funeral...listening to others tell their stories helped me learn I AM NOT ALONE. Everyoneâs story is different but theyâre all alike in that they kept going, they persevered. Thanks for introducing me to my fellow Thwod-balls! .. is in this podcast. Where we speak honestly about our struggles and ways to get through them. Where we understand that mental health issues are not due to a lack of willpower and/or a lack of gratitude. Thank you for this podcast.The sentiments expressed are a balm to my heart. It's like being in a recovery meeting with all this real talk, and as a person in recovery from a substance use disorder, due to medicating undiagnosed depression, I truly appreciate the feeling of connection. This is wonderful. Keep up the great work! This podcast has been so important to me. Even though I don't think of myself as feeling a lot of shame around my depression, it's still not something I generally talk with people about. This podcast is fun and interesting, and has the added benefit of making me feel less isolated, even during my lowest lows. I am hooked on this podcast. I canât wait for new episodes.John, thanks for sharing your talents and bringing these wonderful people to the podcast. This is a stellar podcast with relevant and helpful information and guests. Iâm so lucky I found it and I hope anyone who needs it finds it too. John Moe and his guests handle the sensitive topic of mental health with so much respect, professionalism and sincerity. I stumbled upon this podcast when I was in a very down place due to my depression. Listening to these podcasts reminded me that I am not alone, I am strong, there is hope, this will not last forever. I have almost listened to them all in the last 2.5 weeks and I am going to go through and listen to them again because they are entertaining and a great tool to help me see hope when everything seems so hopeless. Share with all your friends who may benefit from listening! When you reflected on the therapist situation with Jeff Tweedy and you made the statement âPeople who have some damage to them may gravitate towards situations exactly like ones that cause the damage in the first placeâ really hit Home and was also a thought I had never put together. I have listened to all the episodes in order up to this one and will listen to the rest because with each new guest I am learning more about my own issues and illness. I canât thank you enough for creating this podcast, and I know that your own illness is what led to this show to exist which is a double edge sword in a way. Thank you so much from the bottom my my heart. Mental illness is and has been in my family. This podcast has given light and hope to me personally. Look forward to listening to this, as it is funny and insightful, thanks!!! If I could only listen to one podcast, this would be it. I have been listening to this podcast since it started. I struggle with depression and anxiety, I appreciate hearing the different forms depression takers and the different ways anxiety manifests for others. I appreciate how this podcast is able to separate the mental health struggle guests have from the individual and yet still part of them. I have had an incredible amount of clarity regarding my mental health struggles because guests have shared how they are affected. I listen so much I see the theme song. Thank you all for a wonderful and important podcast. The world is a little brighter because you have shined a light in an often dark place. John and Ana Marie find words to match whatâs in their minds. I didnât expect it to be so helpful in understanding the very personal insights of those dealing with suicide, depression, and bipolar disorder disorder, of whom I am one. Sometimes amusing, sometimes heartbreaking, but poignantly authentic. John Moe is doing the good work. This podcast caught me in a tough time in my life, but also a hopeful time. Listening to others' stories about living with mental illness has been so enlightening. We need to talk about these things. Thank you John! as someone who has struggled my whole life AND as a therapist. I recommend it to anyone with ears! Thank you for providing a platform where mental health and illness is discussed honestly. I grew up with a sibling that suffered from schizoaffective disorder. Growing up, I felt like our family had a secret that few people understood. Now, our family openly talks about and gives as well as receives support that helps all of us deal with what it is to have a loved one that suffers from a chronic illness that is invisible to others. Thank you. John Moe does a really good job. The Peter Sagal episode was especially eye opening. A reality check for many people who are not aware of how pervasive depression is in our country. This podcast was such an incredible help to me in one of the hardest mental health situations of my life. It literally got me through and helped me cope when my depression felt like it was eating me alive. I have a therapist now because of this show, something which I honestly believe has saved my life. Great host, great guests, great interviews. I have learned so much about myself from listening. Iâve learned names for and the context behind thoughts and feelings Iâve had my whole life. The podcast runs the gamut of topics fro depression and anxiety to bipolar disorder and schizophrenia.